Do you need your paper, article, thesis, or other text in English to be proofread or edited? Why not have it done by a native speaker of English? With So To Speak (Zo Te Zeggen) your text will be edited by American linguist Leston Chandler Buell, who has years of experience in writing and editing and who has taught at several universities. Dr. Buell frequently copy-edits or proofreads books for publishers such as Oxford University Press and Blackwell-Wiley. So To Speak guarantees native speaker English, that is error-free, natural-sounding, and professional English that uses the appropriate style for the intended audience. Higher rates can apply depending on the nature of the text and for rush jobs. So To Speak is the language services company of the American linguist Dr. Leston Chandler Buell. So To Speak is based in Amsterdam, the Netherlands, but you can be anywhere in the world to use its services. So To Speak provides professional-quality translation services, language instruction and editing and proofreading services. For information on the full range of services offered, visit the home page. So To Speak is also registered with the Dutch Chamber of Commerce under the Dutch name Zo Te Zeggen. So To Speak also owns the EnglishProofreading.eu domain name. Leston Chandler Buell is an American linguist who received his doctorate in linguistics from the University of California, Los Angeles (UCLA) in 2005. He has taught many courses at the University of Amsterdam; Leiden University; University of California, Los Angeles; and Northwestern University. 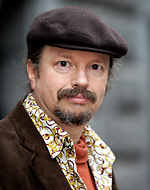 He retains status as guest researcher at the University of Amsterdam and Leiden University. His scholarly articles have appeared in journals such as Lingua and Journal of African Languages and Linguistics. Dr. Buell lived in Egypt for ten years, where he worked primarily as a translator and private Arabic instructor.